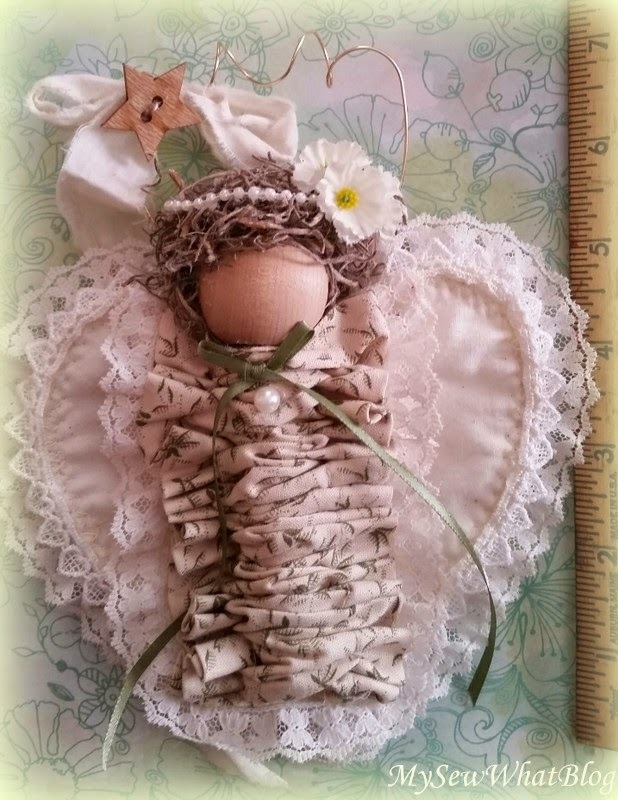 Hi Nancy, Oh I just love your new angel creations. They are so adorable and creative. I must go browse your shop. So sweet of you to also share Stephanie's teacup/mug exchange. I am not able to participate this time around but I know you girls will have a wonderful time and I hope to visit around too and see the pretties. Thank you dear friend for stopping by and your kind comment. Your words just touch my heart. Hope you are doing well in all the snow you've had and staying safe and warm. Ps I dug out some knitting needles and crochet hooks. Going to try it again to see if I can get more uniform size to my stitches. Thanks for the inspiration! You are such an inspiration to me! 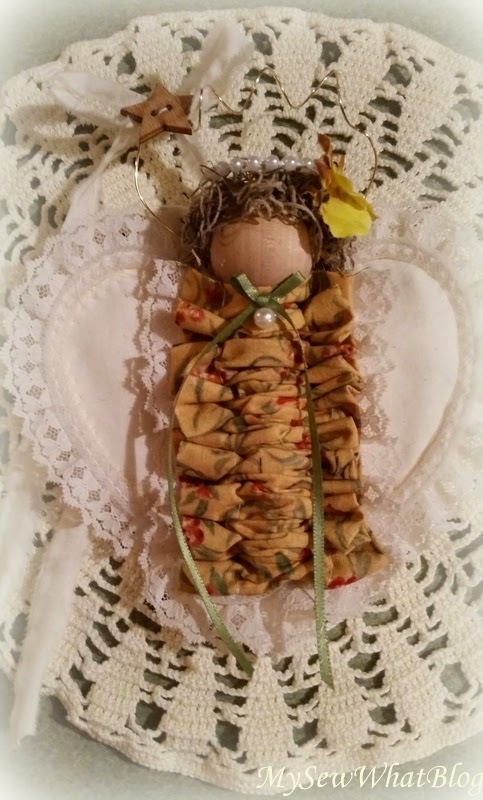 Sweetest little angel creation ever, and beautiful detail too. I know you are being pounded by cold, rough weather and lots of snow. So stay safe and warm! Good morning Jemma! Thank you for such kind words! 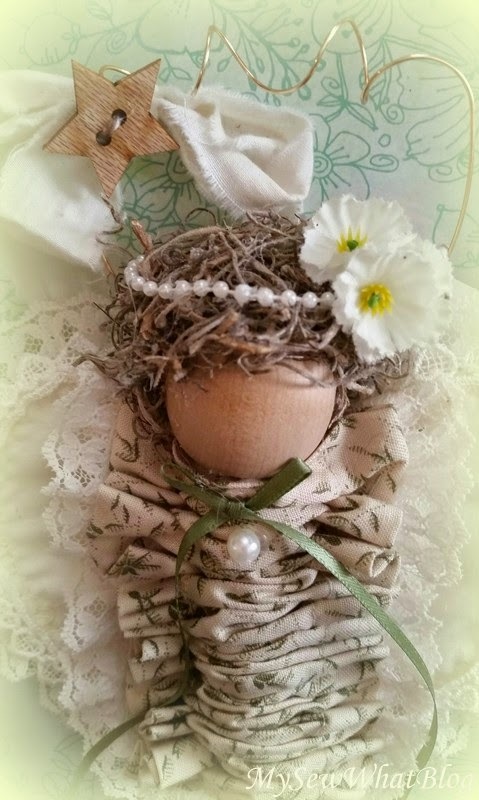 These little cherubs are so fun to make. I have 6 more that I am working on! Yes, it is true we are getting a lot of winter weather!!! 14 inches one day earlier in the week, (after the blizzard the week before) and this morning we woke up to another 4" and there is another storm on the way for Monday....Ironically on my journal page (optimistic) I put an Eeyore quote with words to the effect--it's still snowing and it is so freezing, but we haven't had any earthquakes lately....always makes me laugh so I am referring to that a lot this week! Thanks Jemma for the Texas sized hugs too!!! Thank you! I think fleece for both layers would make a nice warm slipper! It is a McCalls Pattern M6715. If you get around to making them, I would love to see them! I dug out a fleece mitten pattern the other day and I am going to stitch up a couple pairs for myself. Those angels are adorable. They brought a smile to my face. Thank you! 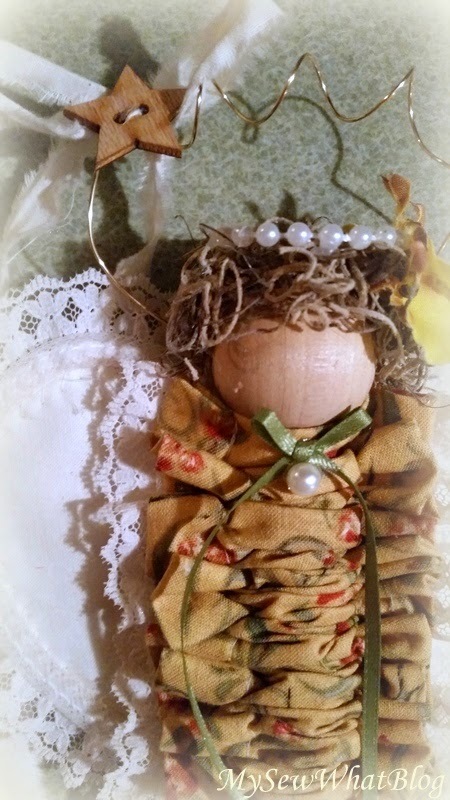 Your dolly did the same for me! And Jann's comment after your post made me laugh out loud! I appreciate you stopping by via Roses of Inspiration! Good evening, Linda! 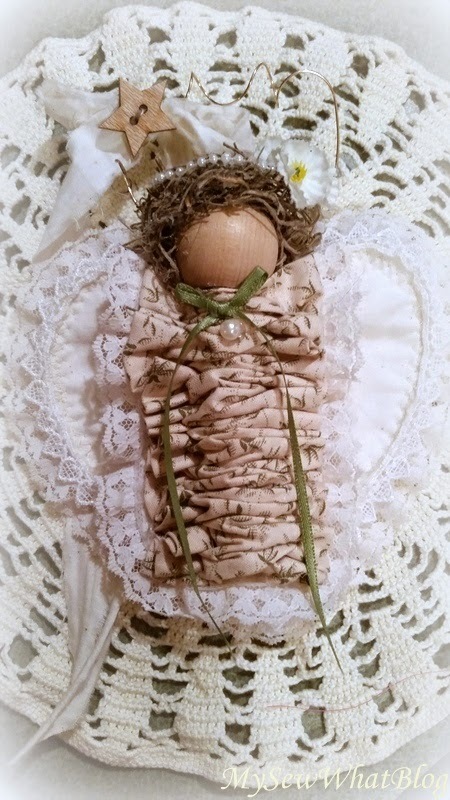 Your angels are beautiful and precious! You create such lovely things, my dear. Thank you so much for sharing this at Roses of Inspiration and thank you for letting your readers know about the tea cup exchange - I truly appreciate it, my friend. I am looking forward to another great exchange. Hugs to you! Hello Stephanie!!! Thank you for your kindness! Your comments are always very much appreciated! Also thank you for another wonderful party! I have only been able to see a few of the posts but hope to get back between now and the weekend to visit some more. I can't wait to get my recipient name for the exchange! I love participating! 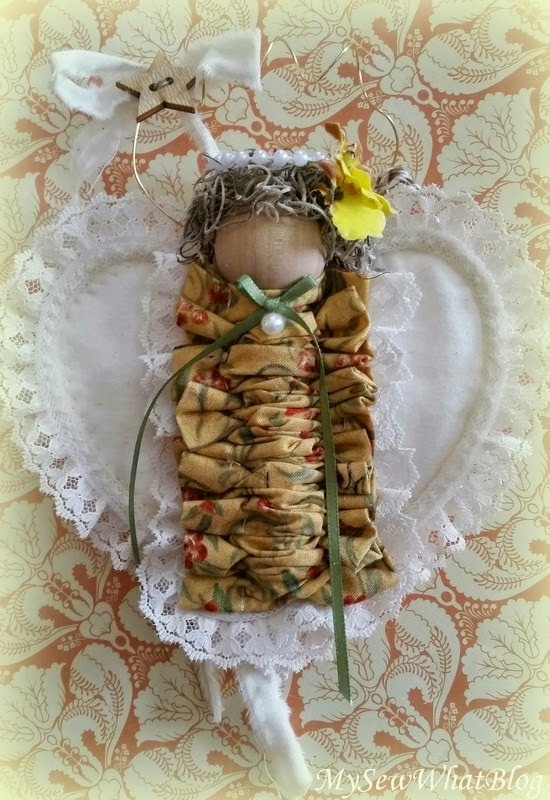 What sweet angels are all around you! It's amazing how you give each one a different personality with a change of frock and other adornment, like they speak in different voices even. Can't wait to hear about the baking session. Maacarons look so difficult. I'm joining in with the swap too!